In early 2005 Judith Juillerat opened her music to the public for the first time, when she won a remix contest for Björks "Army Of Me" put on by Unicef, leaving 600 other contestants in the dust. Now she presents her impressive debut album, fittingly called "Soliloquy." For those quick to compare one can already name her in same breath along with Barbara Morgenstern (Germany) or Gustav (Austria), without taking away from the original artistic expression of these three ladies. 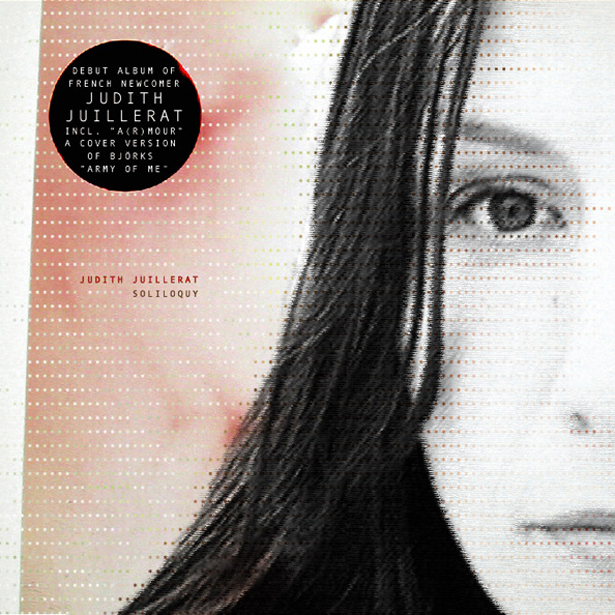 Judith's electronic songwriting feeds off of a rich repertoire of whimsical musical figures and fancy tousled sounds. But in its perfect aesthetical balance it resembles imaginatively superposed calligraphies in which every single sweep and stroke, each twist and turn, on the different layers of its notation lead to an inspiring, meaningful expression. "Soliloquy" arrests attention with a paradoxical casualness that develops an irresistible attraction. An almost compelling voyeuristic element can hardly be dismissed while listening. You become an ear-witness attending an unexpected occasion of intimate and stirring moments. Melodies composed with little bugs, a mature composure in tempo, the intertwining free flow, plus freely interfering fragments unfolding an oppressing yet unrestrained beauty, all beckon to question the back-breaking overly styled pettiness of daily routines. And it turns out that Judith's supposed soliloquy is nothing less than a tricky elaborate artifice that ominously engages the listener in a debate with their own soul from a magically twisted "third" perspective. Judith finds her musical expression through improvisation and spontaneity, and she infuses her compositions with intuition and morals quite audibly. Listening to music is her daily food, she says, admitting a fondness for German cooking when she quotes bands like Can, Amon Düül, Einstürzende Neubauten, Tarwater or Apparat as sources of inspiration. music remains to be seen. In her mid-thirties and as a mother of two children (6 and 8 years old), Judith is definitely a genuine gain for our label plus a late and solid gift for a scene that is known to be predominantly younger, male, and geeky.